David Miscavige, styrelseordföranden för Religious Technology Center och religionen Scientologys kyrklige ledare, förrättade invigningsceremonin för Scientology Kyrkan i Sacramento. The Church of Scientology Sacramento is the second Ideal Org to open in 2012, following the Church of Scientology Hamburg, in Germany, on January 21, 2012. For more information on the founder of Dianetics & Scientology, L. Ron Hubbard, visit L. Ron Hubbard.org. 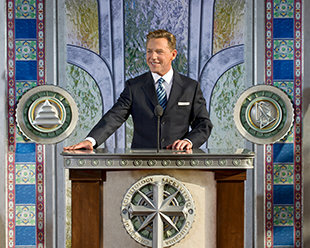 For more information about David Miscavige, Chairman of the Board Religious Technology Center and ecclesiastical leader of the Scientology religion, visit Scientology.org/David Miscavige.